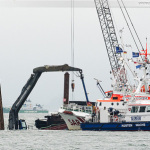 The 38 meter long suction hopper dredger Johanna Josephine ran aground and sank near the GDF Suez power plant in Wilhelmshaven, Germany. The dredger had struck a submerged piling of the cooling water outlet just as the vessel was about to unload its cargo of stones. 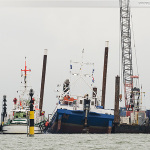 The Johanna Josephine hull was breached and the dredger suffered water ingress. 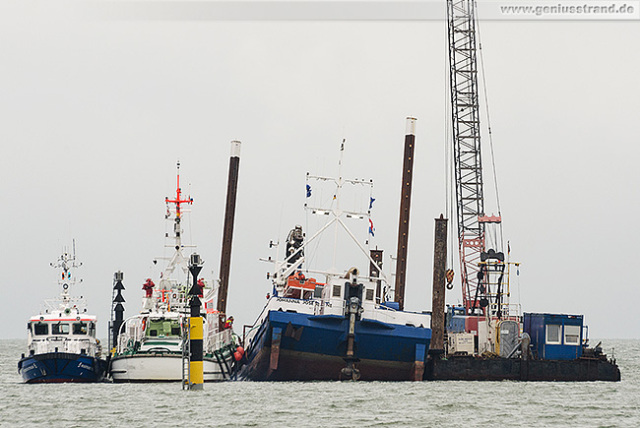 The dredger flooded and sank leaving only the deck excavator and the stern visible. No reports of injuries. A DGzRS lifeboat and water police boat responded to the incident. Divers sealed the leak and the Johanna Josephine was refloated. 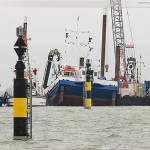 The cargo of stone was lightered off before the dredger was towed to a shipyard in Wilhelmshaven.